Our site aims to have a closer look at the dental tourism industry – providers mainly along with dental clinics, markets, procedures as well as costs and prices. Everything that one should know before going abroad to get professional dental treatment on a real dental holiday. We put high emphasis on trusted and objective reviews and feedbacks from our experienced visitors so that opinion formed on travel agencies, dental care providers would influence patients’ decisions. We shall add information on the latest technology used in cosmetic dentistry as well as an insight into dental implants, crown and dental bridges, tooth whitening and many other types of dentistry treatment. Why go abroad for dental treatment? Dental implant costs in the UK or Ireland are 70% higher than in the dental travel destinations where patients’ needs are met with professional service, high quality treatment in a friendly athmosphere. No waiting lists of any sort, everything is conducted in a professional manner to fully satisfy the dental patients’ needs. How come dental prices are much lower abroad? Dental clinics in Hungary or Poland use the same (if not better) materials for the treatment. The equipment and tools are also of the highest standard. The price advantage comes from the differences in income levels – the trained work force is much cheaper and patients still get highly professional treatment. What are the most popular dental travel destinations? Popular dental travel destinations involve Turkey, Check Republic, Poland and Hungary. Budapest is by far the most popular dental holiday spot in Europe attracting 35.000 patients in 2009 – an impressive number, isn’t it? 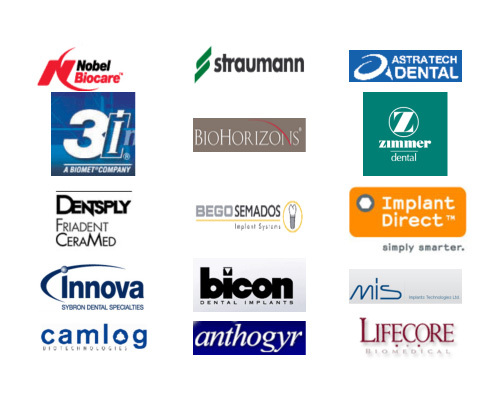 Tooth implants, dental crowns, bridge work, root canal treatement, X-ray, All-on.4 treatment concept as well as implant systems like Nobel Biocare, Camlog are all houshold names in dental clinics of these countries. Budapestdental.net provides a lot of useful information on dental travel abroad – it is must read piece on dental tourism. A piece of advise for those who start searching for dental treatment cost abroad is that they should read real reviews, opinions and experience on dentistry abroad forums which may give a far more objective landscape of the dental clincs, agents and cosmetic dentists. We have just started so be patients with new content discovery. By reading our articles you will be able to make an informed decision!